The word “surrender” screams loudly with the language of “giving up”. The more I wrestle with the anticipation of losing something in surrender, the more I wrestle with the idea of losing my call/purpose/identity. What I’m grasping for or trying to hold on to hasn’t been “added to me” because I’ve gotten it backward along the way. We don’t stay in one place at all times; or at least we shouldn’t desire to, because we very well could become stagnant and ineffective. What if what God has in mind for our surrender doesn’t look like giving up? Surrender doesn’t have to look like giving up, because it can become more about moving forward. We may be graced with staying in the gifting that feel we need to surrender, but it may be in a better or greater capacity; far more than we ever imagined or expected. The more we seek God in the secret place, He’ll confirm more and more. Ultimately, if it’s time to move away from it, it’s time for obedience in moving forward. Psalm 37:3-6 beautifully calls us into instruction while waiting; trust, do good, dwell, live, take delight, commit your way, trust, be silent, wait expectantly, don’t be agitated. Surrender doesn’t have to look like giving up, because it can become more about new opportunities. Another place that the wrestle and the rub have been ongoing is in not feeling satisfied. I should be seeing that as a place of opportunity. I’ve recently done an inventory of my life experiences, and I must say that God has opened some amazingly, incredible doors for me! From singing on big stages, smaller platforms, recording in studios, to writing on popular websites, to personally discipling and mentoring women and young people. I’m living a full life. I don’t think that God is interested in my satisfaction. He’s interested in my heart toward Him and the stewardship of the gifts. I want to be in tuned with my God. I’m learning the richness of following Him. 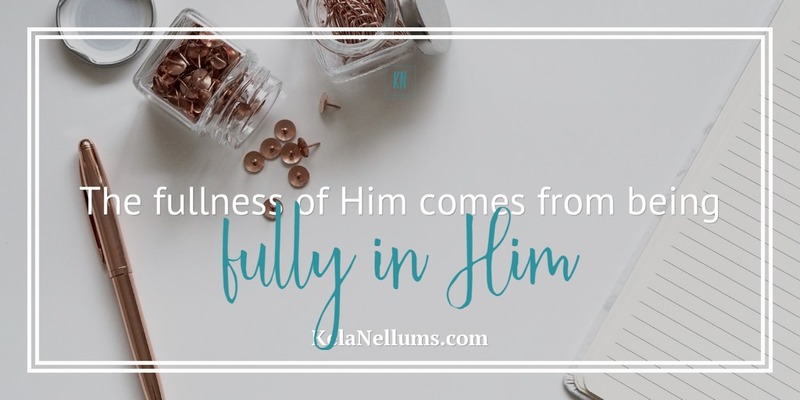 The fullness OF Him comes from being fully IN Him. If I ever get to a place of satisfaction, I’ve placed the “well done, good and faithful servant” crown on my own head myself. I want to do surrender God’s way. Not that it’s always easy, but it’s definitely profitable! Living a surrendered life is a giving life. 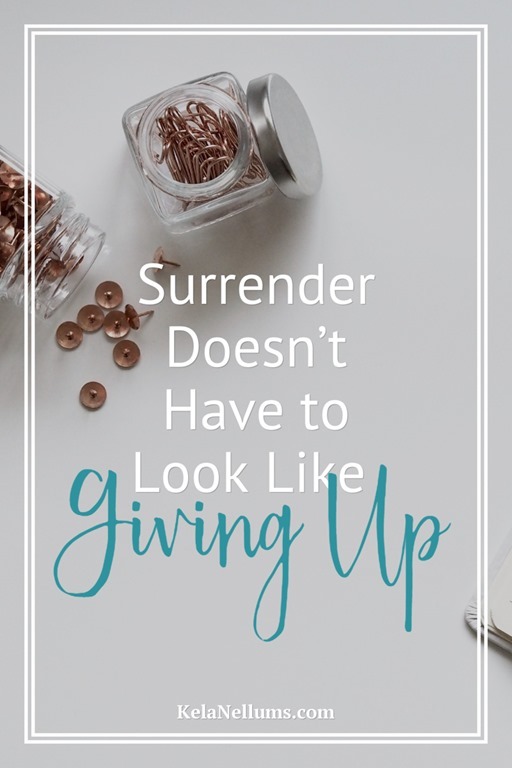 Surrender doesn’t have to look like giving up. It can look like pressing in. Join Kelly R. Baker, Meghan Weyerbacher, other hosts, & myself for a brand new linkup and encouragement from Blogger Voices Network #BVNetwork! We’ll link every FRIDAY.